We’re at DistribuTECH this week, where more than 13,500 leaders in the utility fields are talking about the transformation of energy exchange. An ever-changing technology landscape offers new and exciting opportunities for utility organizations. Yet even with increased access to innovation, many organizations find themselves grappling with legacy systems, inefficient processes, and information silos that can be difficult to overcome. When the city fathers of Independence, Missouri, fired up their first power plant in 1901, electrical power was considered leading-edge technology. More than 115 years later, Independence Power and Light (IPL) found itself managing operations with an inefficient system that had some catching up to do with the cutting-edge technologies on the horizon. The municipal utility’s primary challenge was integrating a diverse software landscape that supported material assemblies, material reservation, and workflow data and scheduling. 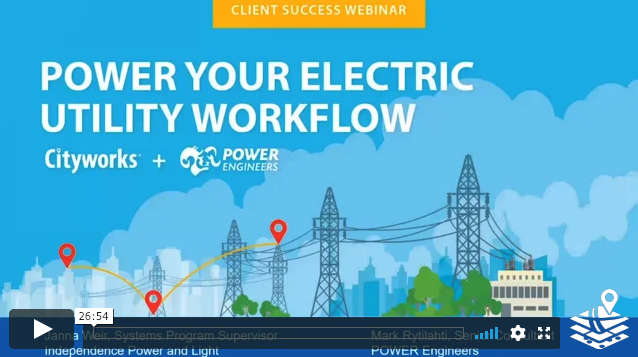 So, they decided to work with POWER Engineers to implement a GIS-centric work management system that integrated their enterprise solutions and streamlined workflows. With the new system, Cityworks is used to manage work activities and facilitate information exchange between the systems, from project inception to financial closeout. As a result of the new system, IPL was able to capture valuable asset management data from more than 15,000 work orders in a little over four months—without needing to hire additional staff.